The Raf Simons Spring/Summer 2016 sneaker lineup broke the internet with social media buzz when first previewed in early June of this year. It's a loaded collection based on previous popular collaborations from the high-fashion designer and Adidas. Needless to say, sneakerheads and fashionistas alike are still on the edge of their seats anticipating the drop. So what’s all the hype about? We’re glad you asked. Basically, it all comes down to the power of three…silhouettes that is. Simons has reintroduced three of his most sought after styles (Stan Smith, Ozweego & Response Trail) with fresh updates resulting in a perfectly executed creative classic twist. Instantly recognizable with the iconic ‘R’ perforated quarter, Simons stays true to the signature silhouetted leather style with the Stan Smith 2 design. Traditional colors like black, white & royal blue are upstaged by hints of Spring with solid shades of muted yellow and pastel pink palette options, as well as a sick distressed leather look that will carry you all the way through to Summer. A side stripe-style with buckled straps has also replaced the iconic Velcro version of the 1980s, creating a new refreshingly modern look to this signature sleek tennis shoe. The Ozweego 2 features a layered upper with a running-inspired profile and transparent silicone windows. The shoe’s high-end futuristic designs are completed with distinct tonal themes including original monochromatic motifs in deep emerald green and gold. Offsetting the flashy heel counter on the Response Trail 2 is the mesh upper in two colorways accompanied by a dual patchwork of leather and suede. 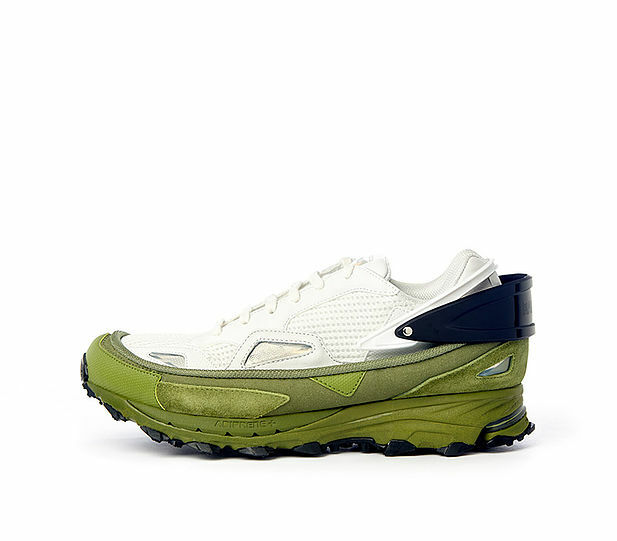 For your early viewing pleasure, you explore the current line up and even cop a pair at http://store.y-3.com/us/adidasx/rafsimons/shoes. 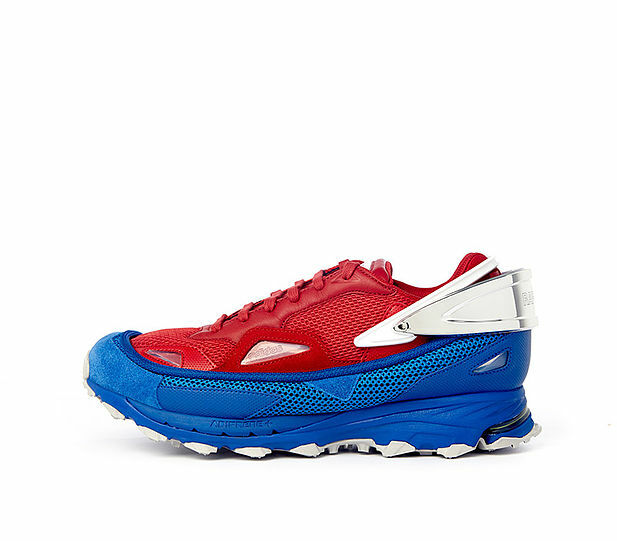 Look for the adidas by Raf Simons collection to hit retailers in February 2016.